OneHydraulics is a woman-owned provider of hydraulic components, systems, and services based in Houston, Texas. Their experienced team of hydraulics experts is qualified to help with any fluid power needs – at any time. Their new M2 site is not only organized and easy to navigate but completely functional for eCommerce. OneHydraulics came to InteractOne with a stalled Magento 2 site build, with some issues their previous developer wasn’t able to resolve. Their previous website was purely informational and they wanted to create a full product catalog for their vendors and buyers to easily utilize while staying true to the OneHydraulics brand. InteractOne successfully launched the new Magento site: OneHydraulics.com. The new responsive site is fully functional with a simple, non-intrusive design. The updated fonts and improved color scheme elevate their brand identity while new site features simplify the shopping experience. One of those added features is the “quick order” functionality that allows for sales representatives or wholesale customers to quickly add items to their cart in bulk. In addition to that advancement, with this new M2 site OneHydraulics can have their various vendors and suppliers upload their own products and manage data on their site. OneHydraulics is now able to dive into eCommerce with their M2 site. 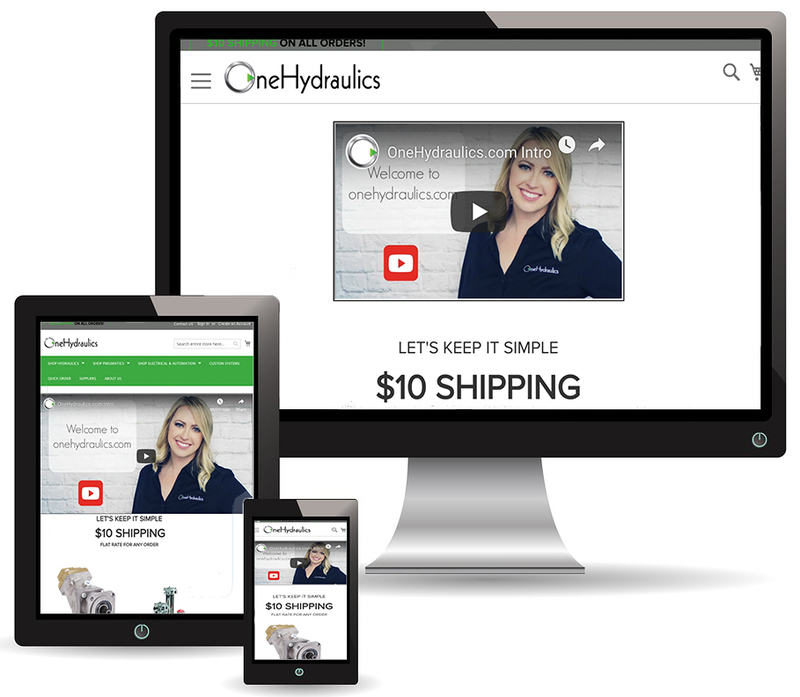 The site embodies the OneHydraulics brand and provides them with the tools needed to be a successful eCommerce store. If you are interested in building a Magento site or would like a quote for a new responsive Magento site design, please contact us or call 513-469-3345.